PayPal has bought mobile payment start-up Paydiant. PayPal bought Paydiant for $280m. The startup sells mobile payment software to retailers to enable them to create their own branded mobile payment services. Subway and credit card company Capital One are customers. PayPal president Dan Schulman said: "Together, I believe PayPal and Paydiant will enable merchants to create beautiful mobile experiences that make it easier and safer for their customers to shop and pay." Technology firms have made a raft of investments in the mobile payment market since Apple launched its Apple Pay service in the US in October 2014. Google recently bought technology and intellectual property (IP) from mobile wallet company Softcard; and Samsung bought mobile payments startup LoopPay. Samsung has since launched its own mobile wallet, known as Samsung Pay. Challenger banks such as PayPal – as well as internet giants such as Google – are perceived to be less secure than traditional banks when it comes to protecting personal data. But is this the case? Consumers trust banks with their financial details more than technology companies such as Google, Apple and Amazon, according to research from Bizrate Insights. Ebay’s decision to spin off PayPal – announced in September – enabled each of the two to focus separately on growth. 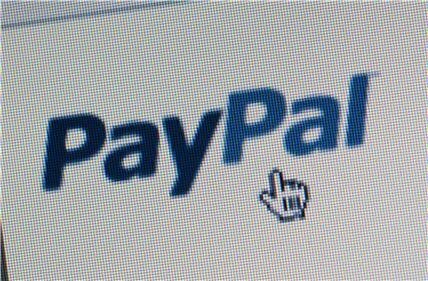 Speaking at the time Gareth Lodge, analyst at Celent, said the separation gave PayPal more flexibility. He said there was speculation PayPal might buy companies in the finance sector including card providers. One source in the banking sector said PayPal could go much deeper into financial services: “It currently offers transactions and accounts so it is very well-positioned to add further products and take business away from the banks. It may not want to get into wealth management, investment banking or mortgages but I can see it is not a big leap to offer savings accounts, current accounts, loans and other modern products.” PayPal has 157 million active users, which is more than most banks. According to a study of more than 6,000 people from Bizrate Insights, 72% said they trust their bank with card details. PayPal was the most credible of technology companies, with 48.9% trusting it. Amazon was trusted by 45.4% and Apple and Google were some way behind at 21.4% and 12.9% respectively. Hayley Silver, vice-president at Bizrate Insights, said that, while trust is not as high for PayPal as for banks, it is substantial. “PayPal ranking number two, and with greater than 50% trust from the younger generation, could be a major opportunity that deserves more investigation among its customer base,” she added. Is fintech making it too easy to mis-buy financial products? Have traditional banks weathered the fintech challenge? Is digital disruption a threat or an opportunity for banks? Is regtech the new fintech? Why wouldn't you trust your bank with card details they are the ones that dish them out. Its like saying 72% of people trust Ford with car maintenance well if you have a Ford they are the ones that made it so why not trust them with it?